It is with a heavy heart that we share the sad news of the passing of a great champion of the Houston Furniture Bank. She was not only a member of the advisory but a guiding light for all our charitable efforts. From Left to Right: Jodie and Maryann Hoffer and Suzanne and Jack McCrary at Crystal Ball Fundraiser. Maryann Gibson Hoffer of Houston, passed away on Friday, the 19th of May 2017. She was 79. Born on the 18th of April 1938 in Quanah, Texas, Maryann met no strangers. She was the daughter of George Drew Gibson, a geophysicist in the oil industry and her mother Gladys a Doctorate of Education. In addition to her parents, Maryann is also a graduate of the University of Oklahoma, studying architecture and interior design. She completed her graduate work at Parsons School of Design, New York University. Giving back to the community has been a long and on-going involvement of the Hoffer family. Maryann had served on numerous boards and committees of charitable, educational and cultural institutions. She had also been an active supporter of civic and cultural endeavors. Her first love was the March of Dimes and had served on its board and chaired numerous events during 1964-1981, including the Arts & Science Achievement Dinner honoring Dr. Jonas Salk. She served on the Board of the Juvenile Diabetes Foundation from 1978-1983 and chaired the “Salute to Style” Gala 1980. She was Chairman of the Bastille Day Ball for L’Alliance Francaise Cultural and Language School and recently the “Symphony Scores Dinner Series” benefiting the Ima Hogg National Young Artists Competition. 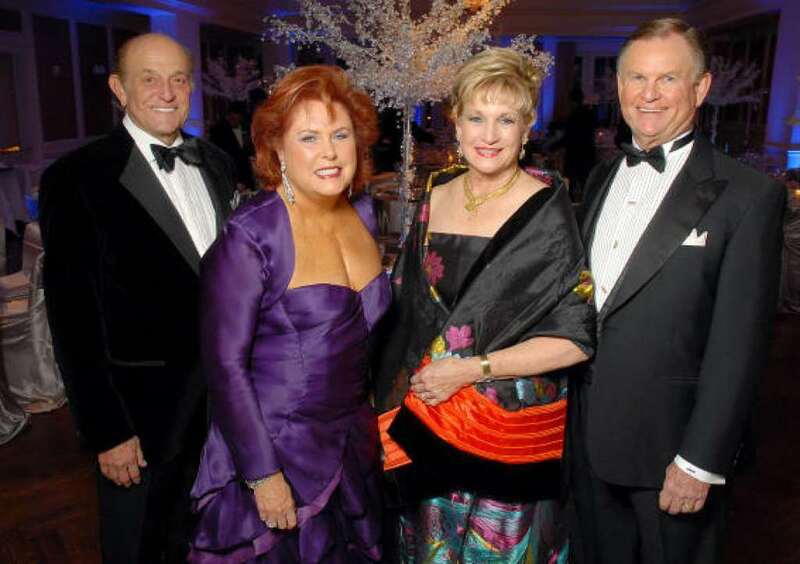 Maryann had served on countless committees and boards of the Houston Grand Opera, Houston Ballet, St. Joseph’s Hospital, Houston Symphony Guild, Citizens for Animal Protection and the Susan B. Komen Breast Cancer Foundation. She was recently involved with the “Pink Tie Gala” this year as honorary chairman for the Susan B. Komen Foundation. From Left to Right: Mary Ann McKeithan, Jane Pauley, and Maryann Hoffer at Womens Health Summit. e Scientists. She was honoree as Pacesetter of the Year by the Cancer League and honoree at the March of Dimes “Teen Clinic” benefit for Ben Taub Hospital. She was honored by the Crohns and Colitis Foundation as Houston’s 1997 “Woman of Distinction” for her civic and cultural contributions. 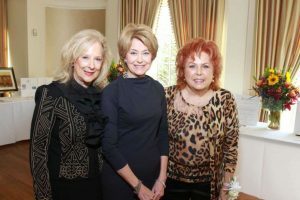 Maryann has given significant support to Baylor College of Medicine and the Huffington Center on Aging in development and special funding. Maryann served on the HCOA Development Board, an organization devoted to raising funds for BCM Geriatric research, education, and service. She was named honoree of the 2005 Women’s Health Summit in Houston benefiting Baylor College of Medicine. Maryann was Co-Chair of the annual Crystal Ball in celebration of The Huffington’s 20th year Anniversary. She also served as committee chair of the Crystal Ball 2014. Combining her talent and interests, Maryann focused on entrepreneurial initiatives with investments in the technological, educational and health industries. She served as an interior designer of her own design firm for over thirty years. In addition to their many civic and business responsibilities, Maryann and her husband Jodie resided in Houston for over fifty years. She is survived by her husband of 45 years, Jodie Hoffer, four children, twelve grandchildren and two great-grandchildren.